The Big East announced the 2018-19 conference schedule on Thursday, and Providence will open conference play at home against Creighton on New Year’s Eve (4pm). Road tripping: Friar fans looking to take a weekend trip to an opposing arena will have plenty of opportunities to do so this winter. After kicking off Big East play with Creighton and defending national champion Villanova at home, PC travels to D.C. to take on Georgetown on Jan. 12 (noon start). Providence plays at Marquette on Sunday, Jan. 20, at DePaul on Saturday, Feb. 2, and at St. John’s in Madison Square Garden on Saturday, Feb. 9. Scheduling Oddities: As has been the case since the Big East realigned, the Friars will play each conference opponent twice. Providence has both DePaul and Butler twice in a three game span. The DePaul games take place on Jan. 27 and Feb. 2, while Providence closes out their regular season schedule by going to Butler, then Creighton, before closing against Butler at home on March 9. 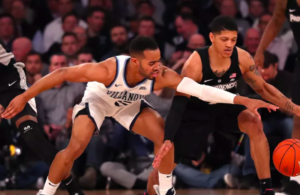 Fox Features: Providence will play a nationally televised game against Xavier on Fox on Feb. 16 (at home), and their Jan. 5 tilt against Villanova could be flexed from Fox Sports 1 to Fox. They’ll also be featured on Fox when they take on Marquette on Feb. 23. 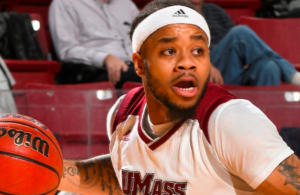 All three games taking place at home is a great opportunity to further showcase the program. PROVIDENCE, R.I. – The Providence College men’s basketball team’s 2018-19 BIG EAST schedule was announced today (Sept. 13). 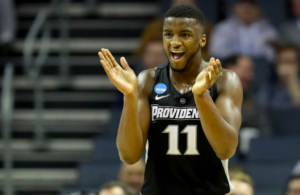 The Friars will play an 18-game league schedule with Providence playing each of the other nine conference teams once at home and once on the road. The Friars will open their 2018-19 league schedule at home in the Dunkin’ Donuts Center versus Creighton on Monday, December 31 at 4:00 p.m. on FS1. 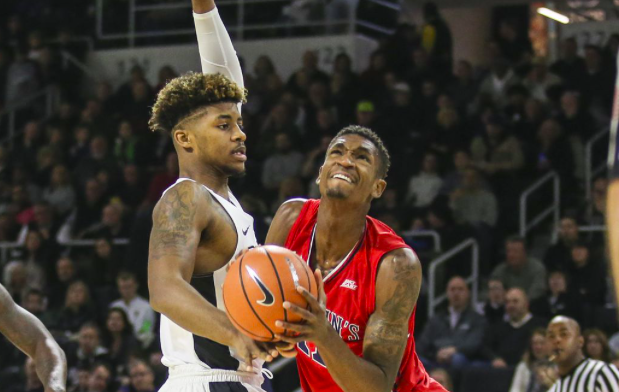 In addition to its home opener versus Creighton, Providence’s other BIG EAST home matchups will be versus Villanova on Saturday, January 5 at 2:00 p.m. on Fox or FS1; versus Seton Hall on Tuesday, January 15 at 6:30 p.m. on FS1; versus DePaul on Sunday, January 27 at 12:00 p.m. on FS1; versus Georgetown on Wednesday, February 6 at 7:30 p.m. on FS1; versus Xavier on Saturday, February 16 at 2:00 p.m. on Fox; versus St. John’s on Wednesday, February 20 at 8:30 p.m. on FS1; versus Marquette on Saturday, February 23 at 12:00 p.m. on Fox; and versus Butler on Saturday, March 9 at 12:00 p.m. (television is TBA). The team will play nine league road games beginning with its BIG EAST road opener at Georgetown on Saturday, January 12 at 12:00 p.m. on FS1; at Marquette on Sunday, January 20 at 12:00 p.m. on CBS Sports Network; at Xavier on Wednesday, January 23 at 6:30 p.m. on FS1; at Seton Hall on Wednesday, January 30 at 7:00 p.m. on FSN; at DePaul on Saturday, February 2 at 2:30 p.m. on FS1; at St. John’s on Saturday, February 9 at Madison Square Garden at 12:00 p.m. on CBS Sports Network; at Villanova on Wednesday, February 13 at 6:30 p.m. on FS1; at Butler on Tuesday, February 26 at 7:00 p.m. on FS1; and at Creighton on Wednesday, March 6 at 8:00 p.m. on CBS Sports Network. The Friars will open the season with two exhibition games at the Dunkin’ Donuts Center on Friday, October 19 at 7:00 p.m. versus Bridgeport and Saturday, October 27 versus Bowie State at 4:00 p.m.